Acer has just announced a new Android smartphone that it will show off at Mobile World Congress 2012 in Barcelona next week, the Acer Liquid Glow. 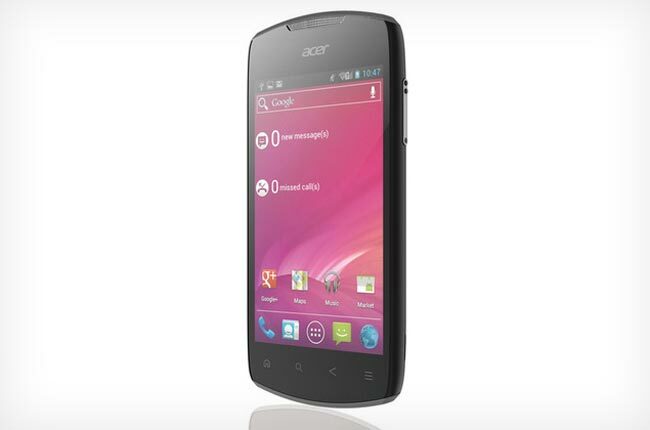 The Acer Liquid Glow will come with the latest version of Google’s mobile OS, Android 4.0 Ice Cream Sandwich, and the device features a 3.7 inch touchscreen display. The Liquid Glow brings together the power and the convenience of Ice Cream Sandwich, providing a user-friendly interface along with widgets to easily stay connected, entertained and updated. It also works with the latest voice-input engine from Google, which guarantees a continuous “open microphone” experience and streaming voice recognition. Other specifications on the Acer Liquid Glow, include a 5 megapixel rear camera, and NFC, Acer have said that the Liquid Glow will go on sale in the Summer. We should have full details on the Acer Liquid Glow next week when the device is unveiled at MWC 2012, you can find out more information over at Acer.